Culver City senior Taylor Tanita led all scorers with 16 points in Tuesday’s CIF Southern Section Div. 2A semifinal against Orange Lutheran, but it was her final two that counted most. With the score tied at 40 and time expiring, Tanita launched a 17-foot jumper that found the bottom of the net at the buzzer, lifting the Centaurs to a 42-40 win and into Friday’s Div. 2A championship. The game is set to be played at 3:30 Friday, at the Anaheim Arena. Orange Lutheran had the lead with under three minutes to play, but poor free throw shooting gave Culver City several chances. With under 15 seconds to play, Kelsey Ueda hit a pair of free throws to give the Centaurs the lead, 40-38, but Lutheran came right back, scoring two on Abbey Goodsell’s layup with under nine seconds on the clock. That set the stage for Tanita’s heroics, lofting a somewhat unsteady shot that found its way home. Ueda finished with 12 points. In Div. 2AA, the Lady Aztecs of Mark Keppel were set Wednesday to host JW North at 7 p.m. with a trip to the finals on the line. The winner will take on Lynwood at 5:15 Friday at the Anaheim Arena. 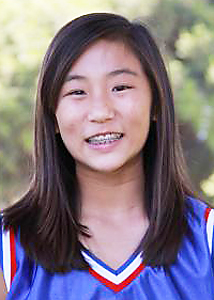 Keppel features Lauren Saiki, Alyson Lock, Tammi Matsukiyo and others. Cody Hiroto and the boys of Rio Hondo Prep have the early game on Saturday, facing Trinity Classical for the Div. 6 title. The game gets under way at 9:30 a.m. at Mater Dei High School in Santa Ana.